It is hard to believe that this was the last weekend of March. The ski and snowpack conditions at Mores Creek Summit are characteristic of Winter conditions. The snow coverage is fantastic! - so many lines to ski that had been out of reach for several years. And soft powder conditions can still be found easily. Sunday Morning I ran into two friends while getting ready at the parking area. Gary and George, and my son Pedro were quite enthusiastic about exploring and skiing a ridge SE of Winter Corner that does not get a lot of visits. I had been asking around for beta on that area without success. The topo below shows the lines usually skied at Winter Corner (red lines). The Green lines show the approximate up-hill track locations. To the SE of Winter Corner also in red, are the lines for the runs we skied at Double G-string. We felt that was an appropriate name for this area considering the narrowness of the ridges on the runs. And the fact that George and Gary names started with G.
Below a picture at the top of Double G-String looking to the east. As usual - click on pictures to access the full picture file at a higher resolution. The top 200-300 feet of the Double G-string runs are wide open as can be seen on the picture below, and the lower 500-600 are nicely spaced old growth forest. Skiers on video are in order of appearance: Gary, Pedro, and George. Mores Creek Summit (6-7000 feet) received ~30 cm of new snow, and depending on exposure, quality varied from dry powder (North protected shots), to creamy denser snow at NE aspects, to breakable crust at Eastern aspects. But the Gestapo level of snow was located at West exposures with a combination of wind and melt crust. We follow ONE rule today - SKI NORTH aspects only! Today, the temperatures varied from -6 Degrees-C in the morning to a maximum of - 2 Deg-C. The Wind was light from the SW. It started as a clear day, becoming cloudy by mid-day, and obscured by the afternoon. Thus wind, sun, and temps had a minimum effect on the snow today. If you search for powder at Northerly aspects - you WILL find good powder skiing early this week. The snowpack remains unchanged from last week, with the exception of the new 30+ cm of low density snow. The snow has bonded nicely to the crust underneath, and clean shears were absent at NW, N, and NE aspects of Winter corner. It is reasonable to expect similar observations at Freeman and Pilot Peak area. Please refer to last weekend blog entry for the snowpit profile. You might have notice the lack of any significant temperature gradient in the snowpit data - and with the latest addition of snow with temps at -5 Deg C (top 10 cm), it can be said that the pack is in winter paralysis - changing very little - e.g. high strength, unresponsive weak layers to compression tests, and no energy for fracture initiation and propagation. This can change later this week with the expected warmer temps. Please, keep that in mind! - snow stability can deteriorate with warming trends - particularly as deeply buried facets layer can become sensitive due to temperature induced differential strain rates (creep), and reduced snowpack strength during the heat of the day. 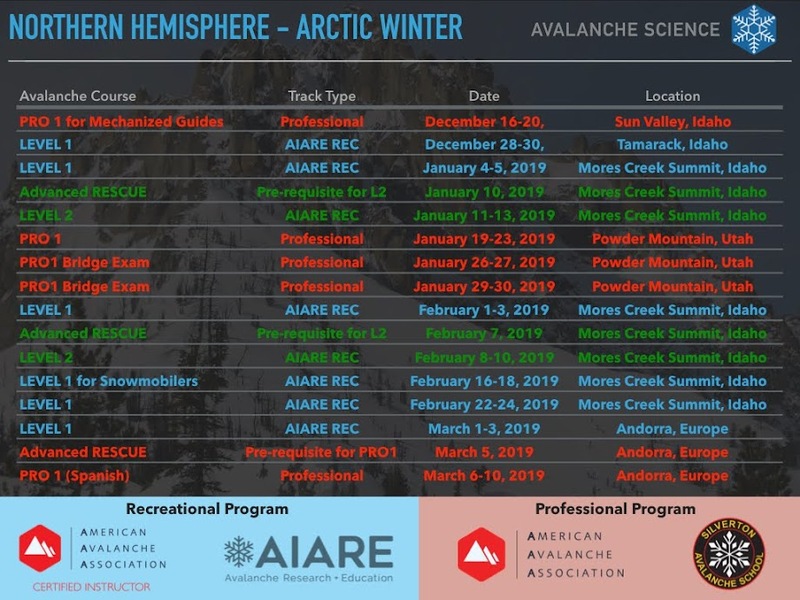 We should continue to pay attention considering the latest Moderate and Considerable Avy forecast for North and Central Valley Sun Valley as well as the Payette Lick Creek summit areas, where they had been dealing with sensitive facet layers. We need to support Idaho City local economy, particularly when we enjoy so much the Mores Creek Summit area. Make a point of stopping at the local eaterys - even for something as simple a an ice cream or milk-shake. Not all backcountry skiers can arrive at Mores Creek Summit by 8-9 AM. Can we park in a manner that allows for additional parking? What about parking in a slight angle instead of parallel to the road? Twice in a week I received feedback from users to encourage backcountry skiers reading the blog to help with the parking situation.